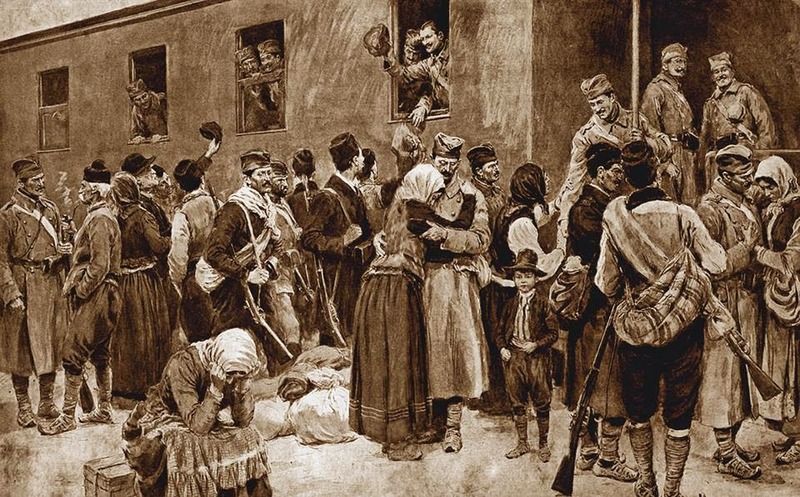 How could these brave Serbs of the Serbian Army possibly know in 1912 that the First Balkan War was just the beginning of 6 years of war that would not only change their corner of the world in the Balkans forever, but would change the whole world forever. Many of the Serbs who fought in and survived the First Balkan War of 1912 would go on to participate as warriors in the Second Balkan War of 1913, and then go further on to participate in the Great War, the big one that would last four long years. The Serbian Army would emerge as victor in all three wars, but at great cost to their warriors and to the Serbian civilians. They were true heroes, exemplifying the courage, perseverance, and virtue of all that is honorable in the armies of men in war.